The goal of Cedro is to celebrate the art of the table outside the confines of stuffy rules about which-fork-is-which. This is a place for art, culture, makers, creators, revelers around the table. It’s more about breaking the rules and finding the pieces you love than being confined to rules and regulations of etiquette. We’re here to give you all the facts and then let you decide how you’d prefer to enjoy. There’s something romantically ceremonial about popping the cork and the elegant, slender shape of it’s iconic vessel that teleports you and those hundreds of tiny bursting bubbles into Grace Kelly’s intimate parlor in the 1960’s. Thanks to the monk’s happy accident, we are able to enjoy the effervescence of a glass of champagne today. By the time champagne goes flat, nearly 2 million bubbles have escaped from the glass. Without the phenomenon of effervescence, champagne would be flat. The funneling of this phenomenon is why those drink champagne, often enjoy it out of a proper flute. However, the coupe shape glassware took hold in the United States during the prohibition for champagne and refined cocktails. In the 1960’s, the wide mouthed, shallow bowled champagne coupe became a status symbol among Hollywood’s elite. One opinion is that while the coupe’s open shape might be a stylish way of enjoying a glass of bubbly, it means that all that hard earned effervescence tends to dissipate more quickly. Another school of thought leaves sommeliers forsaking the flute in favor of glasses that better show off those bubbles. We will circle back to this discussion but there’s a quick aside that can’t be missed- on this episode of Myth Busters - Were champagne coupe glasses were modeled on the breasts of the French Queen Marie Antoinette? To find out if this claim has any credibility, we have to identify the origin of the coupe glassware. The coupe glass was invented in the 17th century when aristocrats started drinking this sparkling spirit. The design of the glass is the risqué part of the narrative. As the story goes, the saucer shaped champagne vessel was modeled on Marie Antoniette’s breasts. There are many variations which include lovers of powerful men: Helen of Troy, Napoleon’s wife, and mistresses of Louis XV. Unfortunately this myth is just that. Fact checking tells us that it’s chronologically impossible. But that doesn’t mean we could let it go. Upon further digging, we did find a drinking vessel shaped like a woman’s breast used in ancient Greece called “mastos cups” - μαστός (mastos) being the Greek word for breast. The jury may forever be out on which lovely lady’s body inspired the shape - but her legacy lives on. In 2008 Dom Pérignon partnered with Karl Lagerfeld to create a drinking vessel modeled after Claudia Schiffer’s assets. Then, to celebrate her 25 years in the industry Kate Moss lent her left asset to create a coupe in London. Myth or not, one thing’s for sure - You’ll never look at a champagne coup the same ever again. We’ve touched on why flutes are popular - a stage for those dancing, rising bubbles. Many flutes even have an etched bead at the base creating a steady stream up the glassware. And we’ve touched on more than enough coupe background. Phillippe Jamesse, head sommelier at Les Crayères outspokenly says, “I’ve always hated the flute. At home I always tasted in wine glasses.” He’s made it his life’s mission to create the perfect glass. Jamesse, Gerard Liger-Belair, a physicist at the University of Reims, along with manufacturer Lehmann partnered to create an elongated glass, round in the middle and tapering toward the top dubbed “the perfect champagne” glassware. Drink the stars out of whatever makes you happy. Around here, we enjoy champagne in any form we can drink it. The table and the vessels are means to an end. There are no rules, and as you can see, one could vouch for many schools of thought which, at the end of the day, become personal opinion. Here are a couple of cedro's traditional and non-traditional favorites. malfatti is italian for "misshapen" - each malfatti is uniquely shaped, the result of flame, hand tools and breath. 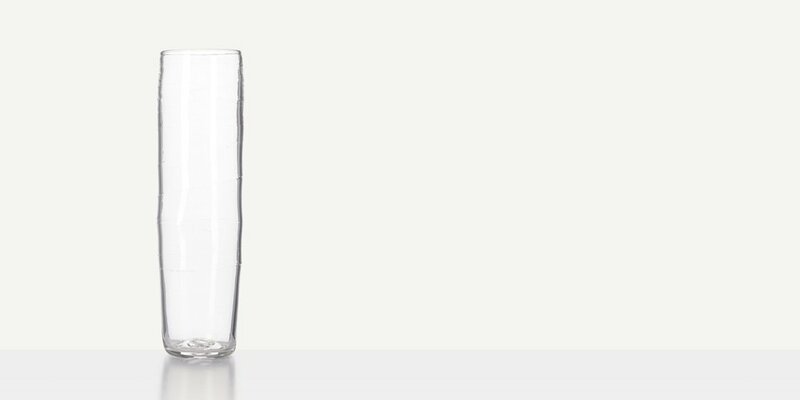 these lightweight glasses are made from borosilicate glass which is the same as laboratory ware. the perfect blend of delicate and durable. michael ruh is a celebrated glass artist in south london. he crafts exquisite hand blown vessels using simple tools that have retained their functionality over centuries. these glasses are a rare combination in visual design, artisanal craftsmanship and durable in function. champagne coupe set from fferrone's margot collection. designed by felicia ferrone. hand crafted without the use of molds. these handblown crystal champagne glasses have become a modern classic. each deborah ehrlich piece is designed for the extraordinary strength and clarity of swedish crystal. the simplicity of the design, the thinness of the lip, the quality of the crystal and the perfect weight of these flutes create a nuanced experience.